You’re on a super roll, just the kind of models I love to create a good setting. Perfect. They look great sir! The green really pops! Thanks mate, been playing with inks on white… you get a really bright finish which is quite different to my usual dark approach. Been fun to mix it up! 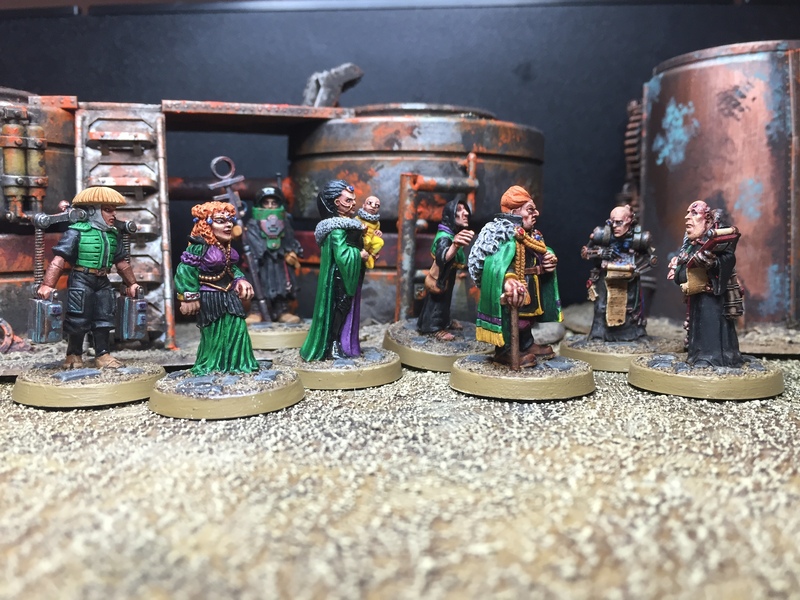 Brilliant work – I MUST start painting my Colony87 stuff! I know I’m a massive noob but what is this colony 87 ye speaketh? Damn nice! Your black & green pattern works really well on these! I love how the baby appears to be looking rather sceptically in the direction of the Administratum officials. The old man should have put him in charge of the deal – maybe then he’d have come away looking a bit happier! 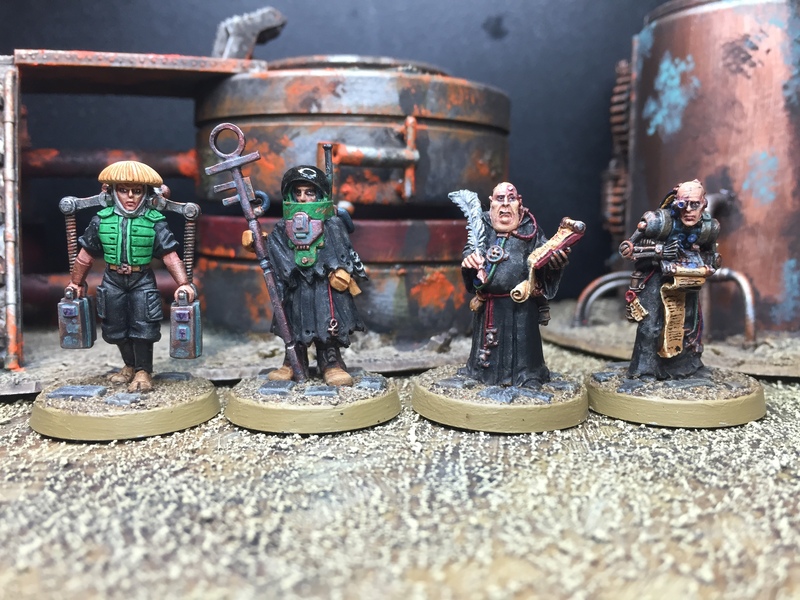 As ever nice work – I must check out these Colony 87 models, they’re really rather nice. Nice work on all of these. I’ll have to have a look at the Colony 87 models – fake edit – did you get all six of them? Looking forward to seeing the last one turn up now!